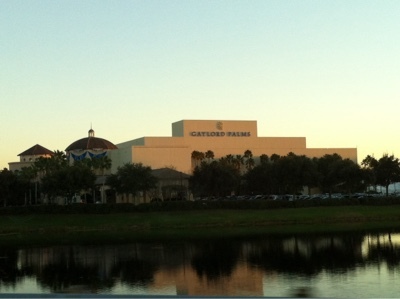 Orlando Visitor: A Picture Taken of the Gaylord Palms Resort and Convention Center. 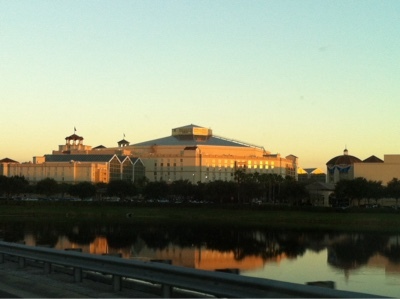 A Picture Taken of the Gaylord Palms Resort and Convention Center. The Gaylord Palms Resort and Convention Center, at 600 West Osceola Parkway Kissimmee Florida. With luxurious accommodation year round and offers a great festive atmosphere in December, with lavish displays, glittering decor, Ice Features, world class entertainment and is close to Walt Disney World and Universal Orlando and Sea World. Labels: Gaylord Palms Resort and Convention Center. Kissimmee. Florida. WDW. Universal. SeaWorld.